The National Institutes of Health is spending roughly $1.5 million on a study of the sleep habits of Mexican Americans living along the U.S. border. The "border health" study began last year and is being conducted by the University of Arizona. The study is recruiting 1,100 people in the tiny border town of Nogales, Ariz., to see how well they sleep. Researchers claim Mexican Americans do not sleep as well as their peers, blaming "social" factors at the border. "Disparities in sleep health in racial/ethnic minorities exist, including Mexican Americans. 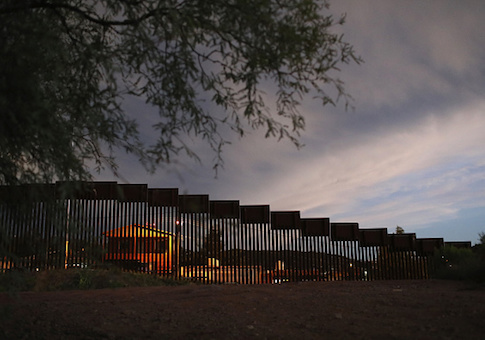 In particular, social-environmental factors at the U.S.-Mexico border may play an important role in sleep health disparities," according to the grant for the study. The project aims to help Mexican Americans sleep "through a community partnership." "This project will not only allow for increased understanding of the complex relationship among sleep, health, and social-environmental pressures, but through a community partnership it can maximize our ability to reduce these disparities," the grant states. "Also, this project has the added benefit of providing information about the role of sleep as a potentially modifiable factor in cardiovascular disease and diabetes disparities as well." Researchers will study how long this population sleeps, as well as their rates of sleep apnea and insomnia, which they believe are caused by "social-behavioral factors." Researchers hypothesize assimilation could be causing Mexican Americans to lose sleep, according to the grant. "Second, this study aims to examine the role of sleep and cardiometabolic disease risk in this population and explore the role of acculturation, psychosocial stress, economic hardship, and/or unhealthy behaviors in these associations," the grant states. Taxpayers are also funding a $333,210 study of bars along the U.S.-Mexico border, bringing the total tab to $1.8 million for federal assessments of sleep and the amount of dancing at clubs along the Southern border. Democrats have promised no money for a wall along the U.S. border during government funding negotiations.